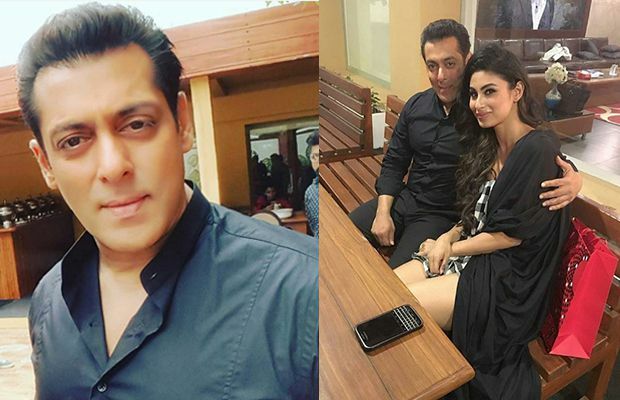 Mouni Roy with Salman Khan: Only a true bollywood freak knows that there are only two names popular among masses nowadays. The first one is Salman Khan which is less likely to be changed. The other one is Naagin fame star Mouni Roy. Mouni got decent following because of her killing appearance in TV reality show, Naagin. The show reaches number one on TRP ratings beating Bigg Boss 10 behind. Currently Colors TV is on the top charts because of this combo. For the fans of Bhai, Salman Khan is the most important part of the show when it comes to Bigg Boss 10. His appearance in Bigg Boss 10 weekend ka vaar episode make fans wait for 5 days and watch every episode of the show. Salman got a lavish chalet inside the Bigg Boss set and he generally loves to spend entire weekend here. Chilling out with the superstars is the thing from day 1 there. You might be waiting for private moment pictures from Bigg Boss 10 Private Chalet of Salman Khan. The moments definitely goes cozy when two fame stars meet each other. Naagin fame star Mouni Roy was scheduled to appear on next episode of BB. Usually this place is accessible to the selected fans of the show only. These pictures were captured by the fans inside the house, limited media is allowed in the private area. Mony arrived in the today’s episode of Bigg Boss 10 as the chief guest of the week. Since she got some spare time from hectic schedule of Naagin 2 shooting, She decided to come over the place and do a guest appearance. She was in first list by the producers as they not need to pay hefty sum of money to the actors of same channels. Some fans on social media and claimed that they both are looking very beautiful together as a couple. But we are pretty much sure Salman is not going to hold our horses so early for his marriage.